Most famous UFO Hot Spots on Earth, there are certain areas that seem to attract more UFO sightings than others. 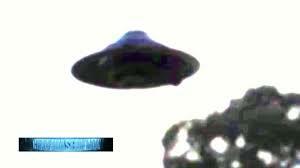 Some places has been experiencing unusually high UFO activity for the last three years. One famous incident in the Hudson Valley in NEW YORK lasted several months. In addition, every nuclear missile base in the U.S. has experienced UFO visits. What is the common thread that makes these locations a magnet for potential activity? We reveal the answers…and reveal whether you might be living in the middle of one these hotspots right now.